Color plays a vital roll in the way products are perceived and in how people decide to purchase things. The Holiday Season is brimming with festive colors, so why not add festive colored bottles to your line. 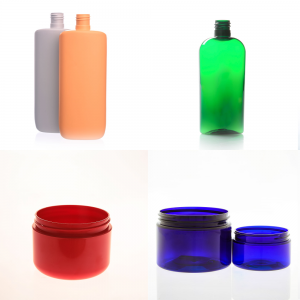 We have a variety of colored bottles and jars. They range from an Apothecary looking Amber to a pretty Pink. These bottles make for a great alternative to plain clear or white bottles. 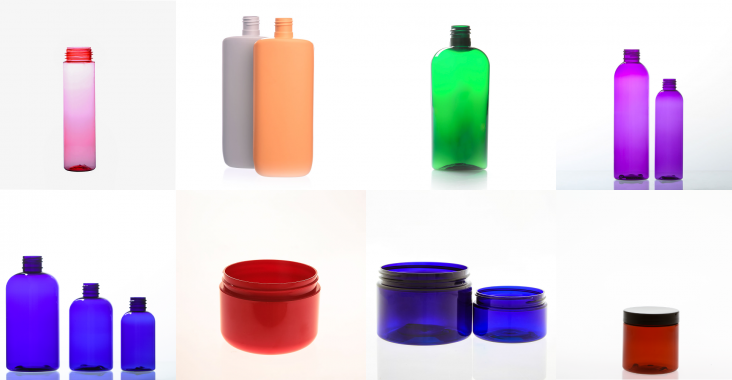 Take a look at our Specialty Color Bottles. Use these bottles to add a colorful touch that fits just about any season. However the Holiday Season is a busy season to any business, and people typically to like holiday themed product. For example, Bath and Body Works tailors their packaging to seasons. Color can inspire feelings in people. They are very important in our lives and marketing. Certain colors represent different ideas and can effect a customers view of your product. For example, if a customer wanted a calming bubble bath they would most likely reach for the packaging that is lavender or light colored. Because they associate the color with the feeling or calm and relaxation. It wouldn’t make sense to put a calming lavender product into a flaming red bottle. Red 8 Ounce Double Wall Dome Jar: They would make for great Christmas line of products. Such as Candy Cane scented body scrub or lotion. Lilac 8 Ounce Dome Double Wall Jar : Very fitting for lavender products, bedtime products, or relaxing spa products. Tapered Wall Pot Jar: Thick products would be more fitting for this jar such as scrubs, hair treatments, or our Jelly Soap. Amber Bottles: The amber bottles have an earthy look that would suit a man product line or apothecary line. Pink Salt Tubes: Salt tubes are best suited for, you guessed it. Salt. Green Bottles: Green inspires nature and wholesomeness, so herbal products would be best suited for this color of bottle. Blue Bullet (Cosmo) or Boston : The regal blue makes for a great spa line bottle. Bullet (Cosmo) Pink Bottle : Think pretty in pink, pink bottles are great for children’s products or upscale feminine products. Purple Bullet (Cosmo) Bottle : Purple symbolizes royalty and nobility, Its a no wonder Prince favored it so much. It’s a bold color fit for a bold line.